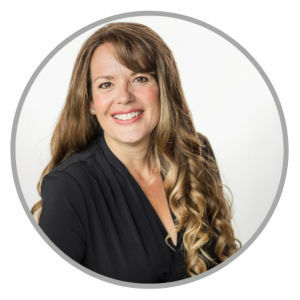 With over 9 years of educating others about the product… I have heard a lot of testimonials!! I lead an amazing team of consultants and collectively we share the amazing stories and testimonials about Norwex products from our consultants and customers. As a team, we have heard all sorts of ways to use Norwex products that aren’t in the brochures, but are so valuable to help others find solutions to the cleaning challenges. Today’s post is all about the Ultra Power Plus Laundry Detergent, affectionately known as UPP! 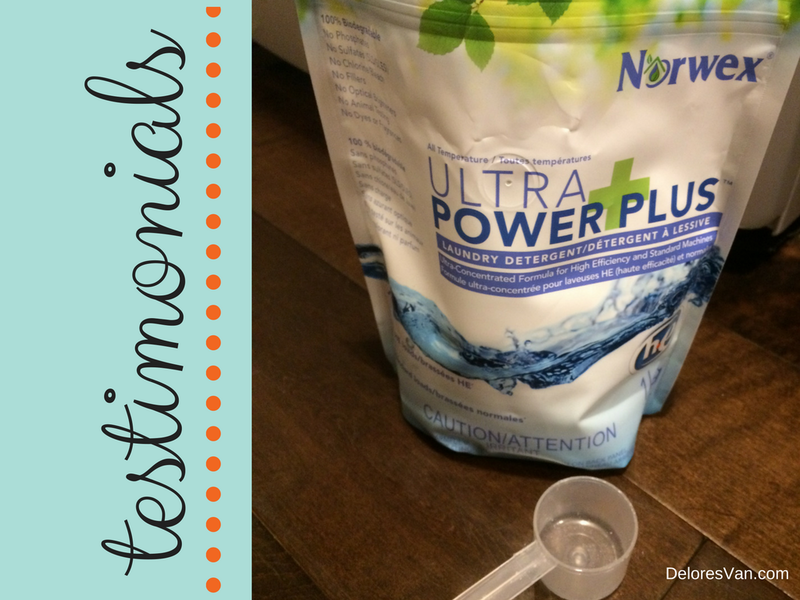 It’s name does not do the product justice as you will read… these testimonials I have collected attest to the superior ability of Norwex’s UPP! I did a presentation for a newly wed couple and they had picked up a free dishwasher off Kijiji. The lady giving it away couldn’t stand the smudges and smear marks all over the stainless steal surface. My host was beyond delighted when I simply removed all the buildup and oil film off the appliance with ease. At another party, my host had a very high end, triple wide stainless steal range hood. From the date of installation, there was a oily film across the centre of this beautiful kitchen centre piece. 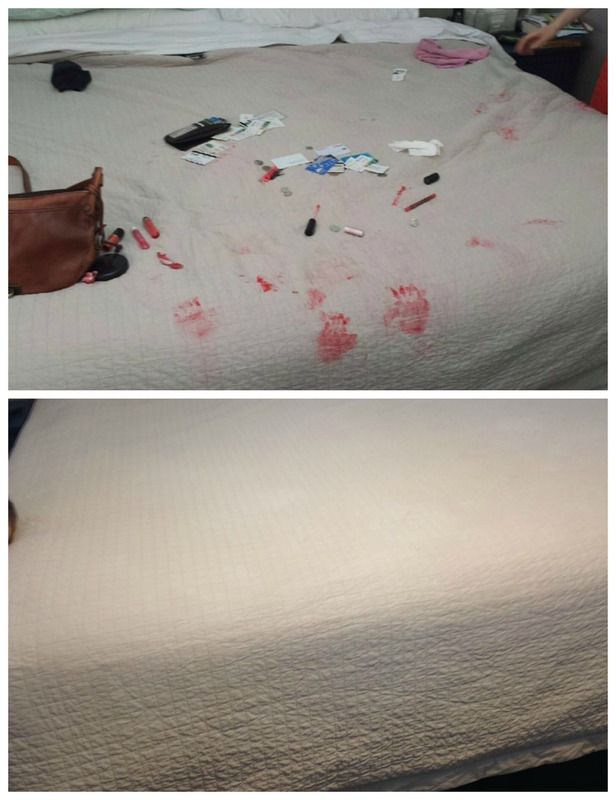 Both my host and her husband were thrilled I was able to remove it! Do you have any shirts with pit staining? Well, this is an amazing solution!! Simply create a mixture of UPP with water and apply to the affected area. Run it through the washing machine and it will shock you!! I have a young 20-year-old customer, who attended 6 shows in 8 months. She fell in love with everything!! At one presentation she was wearing a cute top, only to lift up her arm and share that the pit stains she had on this favorite shirt, which she had hid under jackets and throws, were totally gone!! The UPP is certainly an extremely versatile product. Here are a couple of my favourites which haven’t been mentioned: 1) Cleaning my Flip Flop sandals. These are the most comfortable footwear with great bling – but the base has texture which collects dust. Nothing cleans them faster then an EnviroCloth dipped in diluted UPP!! They look like NEW in seconds!! 2) I’ll fill our largest juice container with water and diluted UPP, set it on the edge or our tub and soak the shower curtain! Works AMAZING!! My sister has a white area rug in her home and she added some UPP to the carpet cleaning machine, and it made the area rug look like new!! UPP is so versatile and effective… I hope you were inspired by the testimonials and success stories I shared. Check back soon for more testimonials about other fabulous Norwex products. If you had success using UPP, please comment below. Favourite Shoes need a little Brightening? 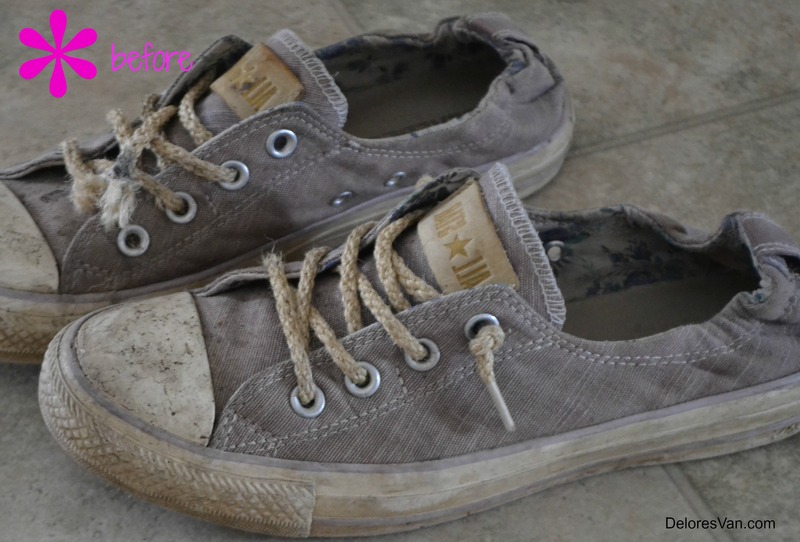 Every once and a while our shoes start looking worn and dirty from all the places they have travelled. Countless adventures in the backyard, at the campsite, in your garden, evening walks, stops at the grocery store, strolls through the mall, back and forth to your kids’ school and many countless errands have been made possible in your shoes. You may be tempted to buy a new pair, or maybe they are your very favourite pair and you would continue wearing them no matter what… luckily with Norwex, you won’t have to do either. Norwex has a solution to brighten up your tired shoes and give them a second chance. 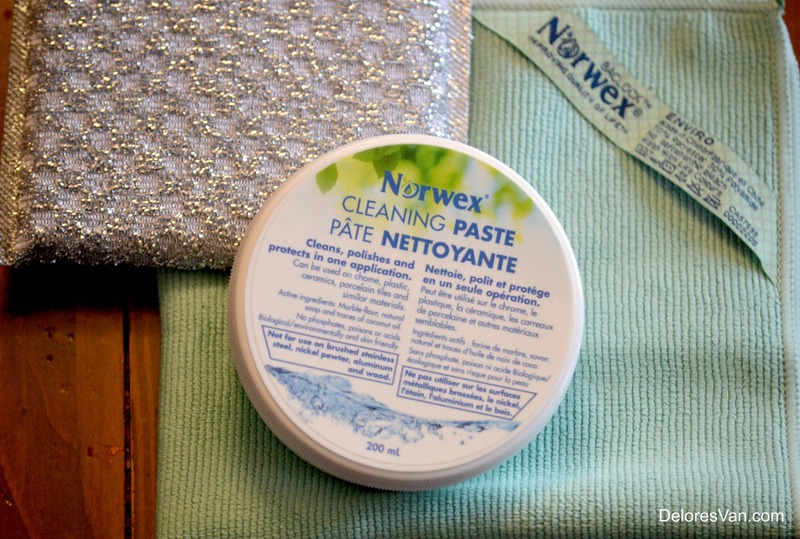 Norwex affectionately calls its Cleaning Paste “elbow grease in a jar” because it works hard and it is has LOTS of different applications. 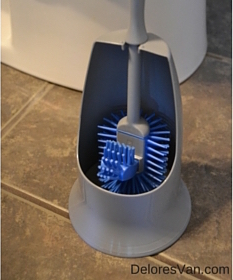 From cleaning stove tops, to making sinks shine, to removing coffee stains from coffee pots, to scrubbing the grout in between your tile… and now you can use it to clean your shoes too!!! Plus… the Cleaning Paste only has 3 active ingredients: marble-flour, natural soup & coconut oil! Dig out your shoes and simply grab a SpiriSponge and a dab of Cleaning Paste and give the rubber edges of your shoes a good scrub. Use a damp, well-wrung EnviroCloth to wipe the edge clean. 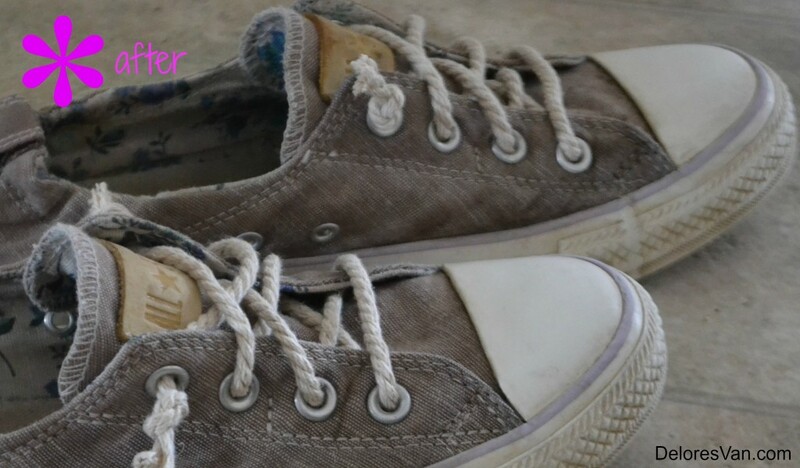 You will be amazed how your shoes will like new again and be ready for your next adventure. Let me tell you about a few alternative products that will reduce your exposure to chemicals and will help you save the environment. The first product is a Reusable Grocery Bag with BacLock™ (only $6.99). Sounds like that has been done before, right? Not quite, Norwex’s Reusable Grocery Bag does not harbour bacteria. It makes sense, right? When you reuse an item, it tends to get dirty and with that dirty comes bacteria that can harm us. 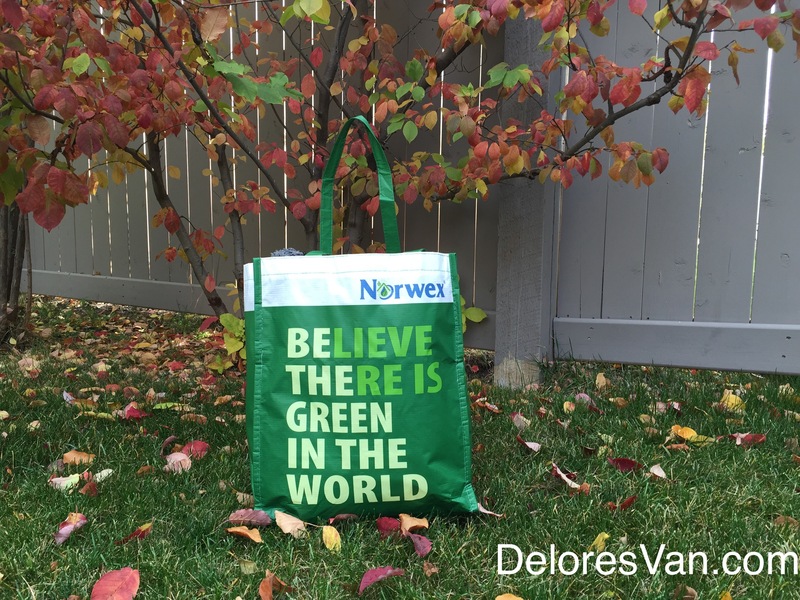 The Norwex Grocery Bag is handy like most other reusable bags, it is a generous size, it is light weight, it is hefty and strong and it is constructed with recycled materials. But how it isn’t like every other reusable bag is that it is constructed out of food-grade materials and has a BacLock™ lining designed to inhibit odors from bacteria, mold and mildew growth on the inside of the bag. When your Norwex Reusable Grocery Bag does get dirty, simply wipe it down with a well-wrung, flat-folded EnviroCloth and you will be good to go. Hooray! That sounds like a perfect bag to bring groceries home in! This video was filmed more than 2,000 miles from the nearest continent. Midway Island North Pacific Ocean. The second product is the Reusable Wet Wipes Bag. 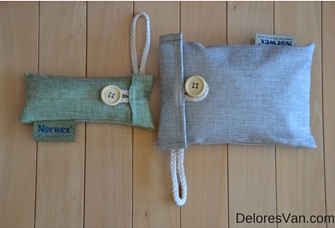 Such a great NEW idea that works together with the Norwex Travel Pack EnviroCloths. The Reusable Wet Wipes Bag is waterproof and has two pockets, the front for unused wet/dry clothes and a back pocket for used clothes. It is small enough to tuck in your purse, diaper bag or backpack. It is made from 100% cotton and is machine-washable. It is perfect to hold travel size clothes that we need for dirty hands and faces, dirty bums, sticky spots in your car, spot washing your shirt and anything else on the go. 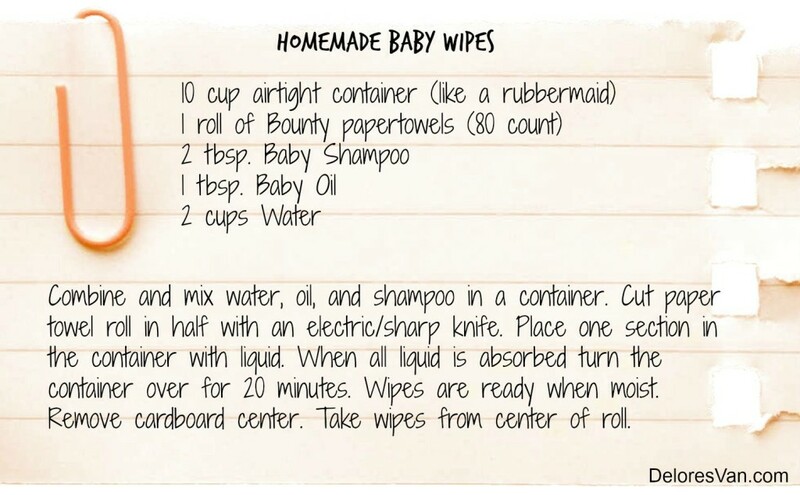 It may seem like a daunting task to give up baby wipes for good… but let me share a tried and true recipe for homemade wipes. These can be used for those messy jobs that require a disposable wipe. Back in 1999, when our oldest was born I was given this recipe and I used it exclusively for all three of our girls. I was introduced to Norwex once I was almost out of the diaper stage of life. 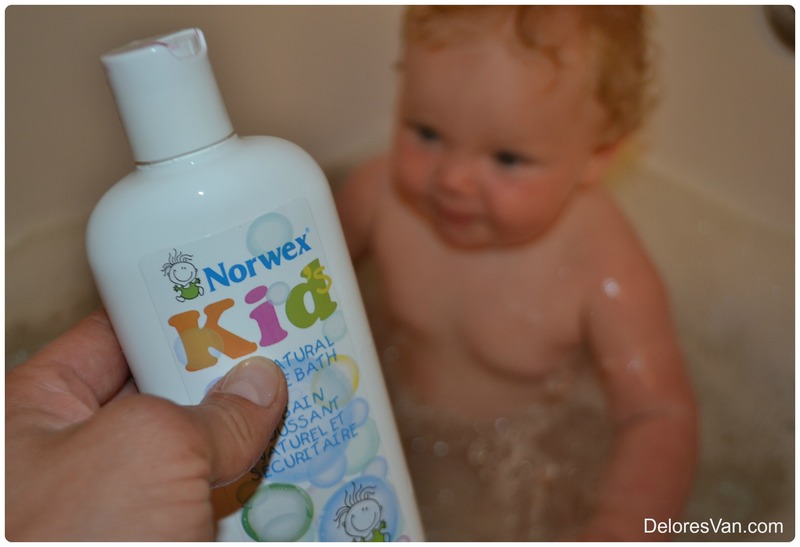 That said, I do recommend using the Norwex Baby Body Pack for cleaning baby delicate skin in the bath, to wiping sensitive bottoms, to cleaning babies teething gums. They work remarkable!! “Soft, like a baby’s bottom”… This saying only tells part of the story about babies’ skin. Of course baby skin is soft — it is the best!!! — but it is also delicate, fragile and needs to be protected from chemicals in our environment. Skin is a very important multifunctional organ that provides our bodies with a barrier function, mechanical protection, thermoregulation, immune surveillance and it prevents the loss of body fluids. Healthy skin plays a role in keeping babies alive. It was previously thought that the skin barrier function reached its maturity at about 34 weeks gestation (still in the womb). However, recent data shows that newborn skin goes through a gradual process of maturity in its environment and continues to develop until 12 months after birth —that is all the way until their first birthday!!! Skin care is important during a baby’s first years of life as studies show that baby’s (6-13 months old) and toddler’s (17-24 months old) skin has higher skin reactivity and absorption than adults. The newborn’s skin is very naturally sensitive, thin and fragile. The skin of the premature newborn is even thinner, therefore highly permeable. This increases the risk of toxicity from the absorption of chemicals. This skin is also more easily attacked mechanically. For example, a baby’s bottom is in constant contact with diapers and being wiped with baby wipes which can cause repeated removal of top layer of skin cells. This increases the permeability of the skin and chance of skin rashes and infections. The health of a newborn’s skin is so important to the overall health of the child. Norwex’s Global Mission is to: “Improve quality of life by radically reducing chemicals in our homes.” This mission does not only apply to how we care for our homes but how we care for our bodies. The shelves at the supermarkets and drug stores are lined with chemical-filled baby products. Even with the knowledge of cancer-causing agents, these can still be found in some of the most “trusted” companies baby products. 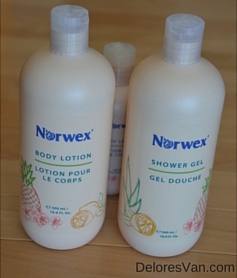 Isn’t it wonderful that Norwex provides alternative skin care products. Here are a few chemical-free products that will keep your babies clean and safe. Baby Hooded Towel Set: It is the perfect size for babies and toddlers; it is super absorbent, super soft and super cozy, just what their sensitive skin needs. It is constructed with microfiber and has Norwex’s exclusive Baclock™ agent to inhibit odors from bacteria. It also comes with a matching face cloth. Baby Body Pack: It comes with three baby-sized face or body cloths. They are super soft and gentle on your baby’s skin. 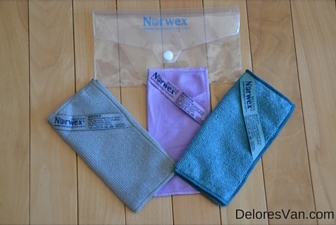 They are constructed with microfiber and has Norwex’s exclusive Baclock™ agent to inhibit odors from bacteria growth. Bubble Bath: All kids love bubbles at bath time!!! Norwex’s bubble bath is made from 3 natural ingredients — water, caprylyl/capryl glucoside (a natural foamer) & natural wild cherry fruit extract. It is non-allergenic, biodegradable and a gentle cleansing agent. Plus, it is FUN!!! Body Lotion: This chemical-free lotion is good for the whole family and is certified by BDIH and NaTrue for its organic and natural properties. It smells wonderful and is loaded with a variety of natural botanicals like coconut oil, grape seed oil, aloe vera, sweet almond oil shea butter and vitamin E.
Take the time with your sweet baby to massage this wonderful lotion into their skin… they will feel loved & comforted, their circulatory system will be stimulated and you will be at ease knowing that there are no chemicals being absorbed into their perfect skin. Recently my family hosted a delicious lasagne dinner for our extended family. It was a full house — with approximately 40 people in attendance. We needed a lot of lasagne that night! We baked a few in the oven and a few (my husband’s brilliant idea) in the barbecue. Not only did we cook a lot of lasagne that night, we made a lot of mess in both my oven and barbecue! The lasagne exploded all over the place!!! Lucky for me, Norwex makes a great Oven and Grill Cleaner. Here are pictures of my personal oven … Before & After. I did included step-by-step cleaning instructions in an earlier Spring Clean post… but thought that if you have a busy family or a lasagne party, or are hosting Thanksgiving dinner and need to clean up the bottom of your oven before cooking the turkey, or you were ready to put the barbecue away for the winter season, this enzyme-based cleaner will make your oven/barbecue clean and look brand new! 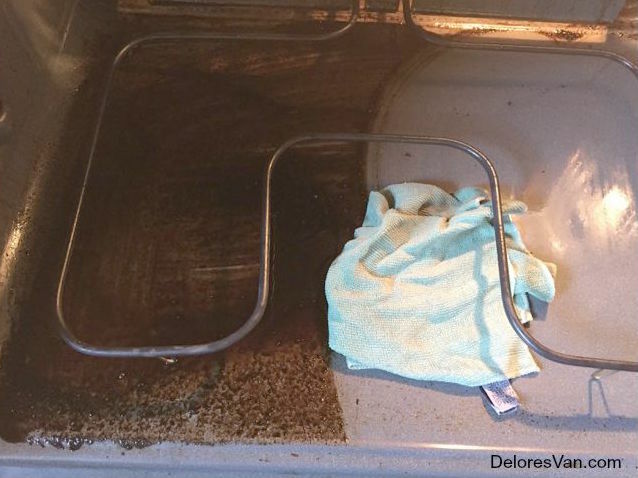 Did you know that the “self-cleaning” cycle in your oven releases toxic lingering fumes in our homes making it an unhealthy for our families and especially our small children and small pets? Cleaning the oven used to be an enormous task but with Oven and Grill cleaner, simply turn the oven on to 175°, once it is preheated turn the oven off. Spray the Oven and Grill solution on the racks, walls, base, door and glass window. Let the solution sit for 10 minutes. Wipe it clean with a Spirinett and then an EnviroCloth. These targeted enzyme breaks down any burnt food or residue in your oven or on your racks and turns it into a black liquid which is easy to wipe clean. 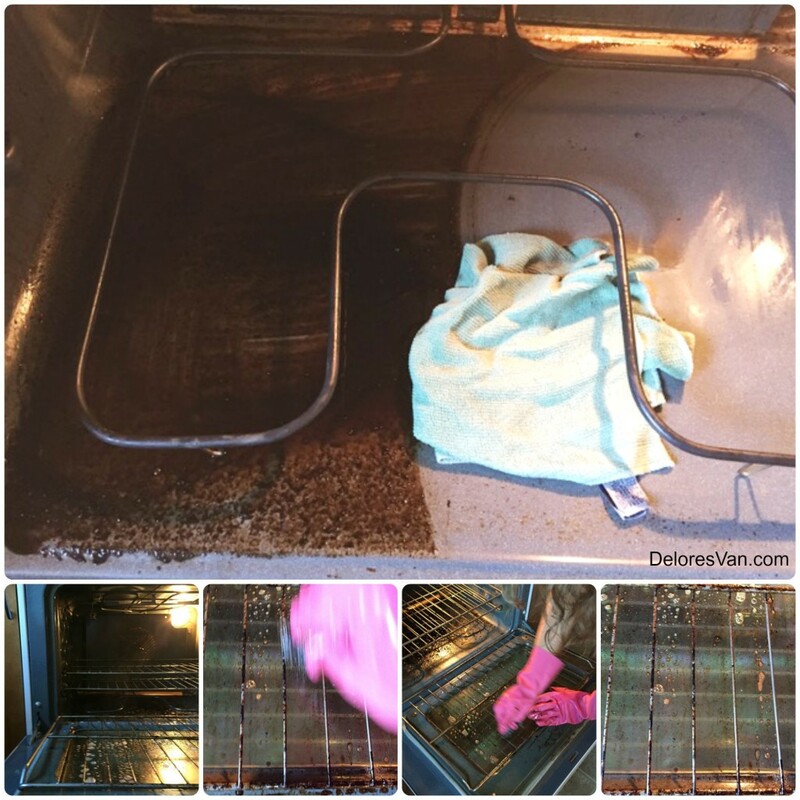 Never before has cleaning your oven been so simple or toxic free! 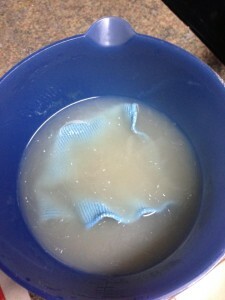 What shocks me every time, is how my Norwex EnviroCloth rinses clean after wiping up these significant messes!! Cleaning your barbecue is also made simple with Norwex Oven and Grill Cleaner. First roll your barbecue on to a tarp to catch any drips from the cleaning solution and black char from your barbecue. It would be awful for the cleaning process to damage your deck boards. Next, preheat your barbecue to approximately 175°. Turn the barbecue off. Then, spray the Oven and Grill cleaner on the racks. Wait for approximately 10 minutes, when you return, wipe down the rack with a Spirinett and then with an EnviroCloth. The EnviroCloth will also do beautiful job of cleaning/polishing the stainless steel exterior of your barbecue. 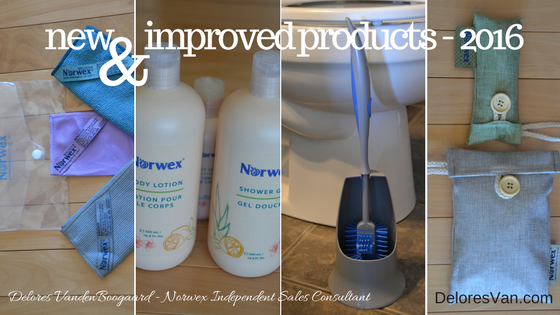 So if you missed the cleaning fever in the Spring or your summer has been filled with hosting backyard barbecues or lasagna has been exploding in your oven, Norwex has a safe and easy solution… again.